After the Örebrogalan 2016 award ceremony in Sweden, I had a chance to trade emails with Mikael Melitshenko the Inkubera CEO. Below is an edited version of that exchange…. For those people who don’t know, can you tell us what Inkubera and Örebrogalan are and how you became involved? Mikael – Inkubera is the premier business incubator operating in the Örebro Region in Sweden. We focus on developing innovative growth ventures and offer a wide variety of services like business coaching, financial services, office space, expertise in a variety of areas, etc. Örebrogalan is a local celebration of all the good things happening locally in Örebro city (kind of like the Oscar’s). Inkubera is the host of the “Innovation of the Year” award. That’s great that Inkubera is directly involved in the “Innovation of the Year” award. What makes that award so special? Mikael – The “Innovation of the Year” award is one of two innovation prizes awarded at the gala. The second focuses solely on digital innovations. “Innovation of the Year” does not look only at the product/service, but also at the potential growth, how far the company has come, how much capital is raised, how the team is organized, etc. The team here at Appivo was excited just to get nominated, and even more excited to win – it’s very validating and motivating. 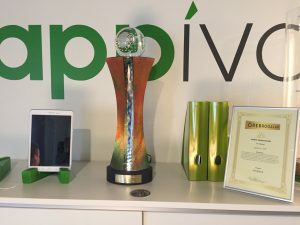 What were the deciding factors in awarding Appivo the “Innovation of the Year” award? Mikael – I must admit that it was a close race this year between the three nominees. Appivo stood out having a large-scale vision, an international outreach and enough seed capital to launch the first version. There must be a lot of startups looking for help. Is there a “Silicon Sweden” movement? 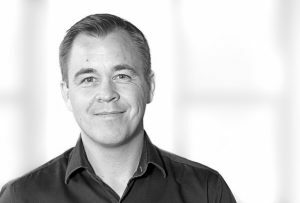 How do you see the tech environment in Sweden evolving? Mikael – I do not think we have, or can develop, something that is exactly what you see in Silicon Valley. We need to look at the conditions that exist in Sweden and work accordingly. The start up environment has changed a lot in Sweden in the last ten years. Many more people see themselves as entrepreneurs than before, there is more venture capital and more spokespeople talking about the importance of innovation. However, we can never create the demographic and geographic density of innovators, entrepreneurs, startups, research, big companies and seed capital here in Sweden that is needed to create a real Silicon Valley feeling. We need to focus on doing this our own way with the resources we have here and within the areas that we are specialized in. 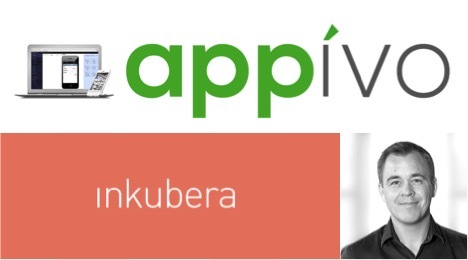 Thanks to Mikael for the email exchange and to Inkubera & Örebrogalan 2016 for recognizing Appivo.